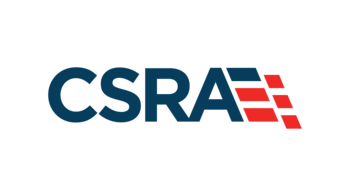 The author, a 24-year veteran of the U.S. Navy, is a former tactical naval aviator who flew the A-7E Corsair II and FA-18C Hornet operationally, logging over 1,000 carrier-arrested landings. Miller commanded a carrier-based strike-fighter squadron. Raven One is his first novel. In the acknowledgments, Captain Miller said that, “For anyone who is interested in carrier aviation, this action novel will hold the reader’s interest.” Although this novel is compelling and entertaining for those familiar with the world of carrier aviation, it is written primarily for those who are not. Historical fiction takes the reader beyond facts as it delves into the personalities of the men and women who lived through it. 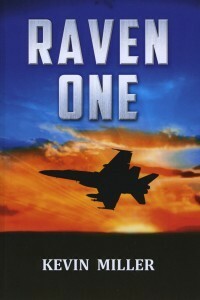 Readers of Raven One experience a deployment as part of a strike-fighter squadron. 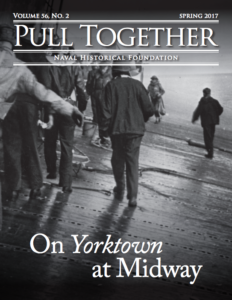 Miller’s memories of extended deployments to the Middle East bring to life the flight decks, the ready rooms, the bunkrooms, the wardrooms, and the training hops. Miller puts the reader in the cockpit of the FA-18 Hornet strike-fighter aircraft, telling what it’s like to control a warplane, feeling the smells and excitement. There are detailed descriptions of fighting maneuvers, carrier landings, refueling, and the pilots as well as other personnel. Fascinating “dog fights” with a weird looking airplane, give a hint of the enemy’s new technology which the author says is believable even though the airplane is fiction. The story begins with FA-18C Hornet pilot and operations officer Lieutenant Commander Jim “Flip” Wilson having a dream about a flight penetrating Iraqi airspace even though the day before his mission was over the Gulf of Aden. Because his dream had him ejecting into space, when he woke up Wilson worried about surviving the remaining five months of his tour. More interesting people are introduced to the story. Second in command is the Executive Officer (XO), a martinet named Commander William “Saint” Patrick. Later in the book, the XO causes an unnecessary wave-off on a dark, stormy night with the deck pitching for Hornet pilot Lieutenant (JG) Bob “Sponge” Jasper. The book becomes a page-turner as the reader learns about the personalities of the people involved. The story delves into the ethos of a fighter squadron where life is competition amongst young adults working together. The conflicts between officers become evident. The problems of both men and women on board a carrier bring human interest to the story. Hornet pilots include Lieutenants Kristen “Olive” Teel and Melanie “Psycho” Hinton – a daughter of an admiral. About two-thirds into the story, “Flip” Wilson’s attitude changes. Human factors are described with candor, weaving the story of flying with crew interactions. The book portrays the way men and women prepare for battle. There are details of everything in a pilot’s life…dreams, eating, even putting on flight gear. Political observations surface towards the end of the novel. At the beginning of the book there five pages of a “ Glossary of Jargon and Acronyms” followed by a page of CVW-4 “Tomahawk” call letters AH “Alpha Hotel” and a list of “Strike-Fighter Squadron SIX FOUR (VFA-64) Officers. There is also a map of the area of the carrier’s deployment. Jan Churchill is a retired Coast Guard aviator (who almost had a press ride in the FA-18. It was canceled due to a FA-18 crash about that same time).